Tony visited CAL in Kandy, Sri Lanka, last year and looked into ways to provide help or support in the future. He has been in contact with them since and will be traveling there again later in May 2018 with our Trainee Quantity Surveyor, Kye. Child Action Lanka works to assist and transform the lives of disadvantaged children in Sri Lanka. Many of the children live and work on the streets as beggars. Hunger, neglect, exploitation and abuse are just a few of the many challenges faced by these children everyday. At Child Action Lanka, the purpose is to enable disadvantaged children to realize the possibilities for themselves and change their own lives for the better. Kandy is a city in central Sri Lanka, capital of Central Province, on the Mahaweli River. It is one of the island nation’s largest cities and the economic focus of the tea-producing central highlands. It is also a city of great beauty. In contrast to its beautiful scenery and majestic historical sites the city is also home to crippling poverty where many parents are unable to provide for their children and violence and is rife. CAL believe focusing their effort on children is the starting point to break the poverty cycle; At the same time they also strive to work with the families of the street children whenever possible. CAL provide direct assistance to around 1500 children in eight different districts around the island through twelve Child Action Lanka Centres. Tony and Kye have discussed with CAL various ways in which they can help their cause. They hope to be able to deliver a few lessons; perhaps simple English Language Lessons, or life skill lessons to the children who attend the centres. These children are aged between 2 yrs and 18yrs of age and hence their needs vary greatly. They also have been discussing the option of some refurbishment work at one of their centres. Their needs are quite wide and further understanding of where they can help and what they can ‘muck’ in with will be better understood on their arrival in Sri Lanka. Please look out in a later AML Southern Ltd Newsletter for news and pictures from their trip. 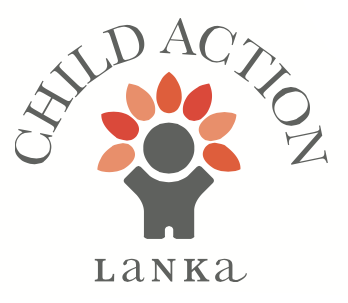 Please also see our other blog post from earlier in the year giving more information about Child Action Lanka, and how you can be of support too. If you would like to get involved, then please do get in touch with us through our Contact Us Page, HERE.